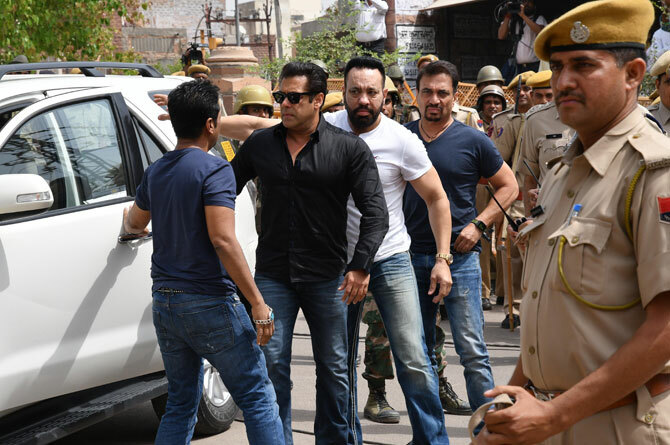 Bollywood superstar Salman Khan’s security has been reportedly tightened by the Mumbai police after his alleged murder plan was revealed by the arrested gangster. The Special Task Force (STF) of Haryana police had recently caught hold of gangster SampatNehra, who was reportedly working on a plot to kill the Bollywood actor, reports Indian media. Deadly gangster Lawrence Bishnoi of Rajasthan, was supposed to be behind the threat to the star due to his alleged involvement in the black buck case. Salman received death threats from the Lawrence Bishnoi gang in January this year over his involvement in the 1998 blackbuck poaching case. Salman is busy with the promotions and the release of his upcoming Hindi film ‘ Race 3’ which also stars Jacqueline Fernandez, Anil Kapoor, Bobby Deol, Daisy Shah, SaqibSaleem amongst others.